Today marks the start of the 10th annual Advertising Week in New York City. The weeklong event is expected to attract 90,000 advertising and marketing professionals with its nearly 250 seminars, showings, and soirees. The New York conference is designed to display the way that Madison Avenue has adopted and adapted digital marketing like mobile advertising, bid data, and social media. The Wall Street Journal offered a sneak peek at the week’s highlights and happenings. With the advertising industry’s increasing dependence on big data and analytics as a predictor of online buying behavior, it’s not surprising that much attention will be devoted to big data and its growing impact on creative development, product creation, and media buying. As a result, data is defining Monday’s itinerary. The highlight will be AOL’s first upfront presentation for advertisers regarding its automated ad-buying businesses. These upfront presentations are typically seen in the TV industry when network executives host events that allow advertisers to commit to buying ad time in advance. Now AOL is adopting this strategy as a way to convince advertisers to reserve more ad dollars for “programmatic ad buying,” which allows ads to be purchased via real-time bidding through automated exchanges. 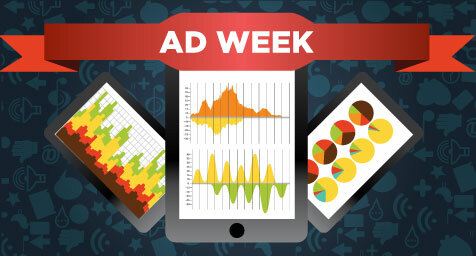 With eMarketer predicting a 73% increase in real-time bidding for U.S. digital display ads this year, AOL wants to secure its spot in the hearts and budgets of advertisers. Data will remain in the spotlight as Acxiom debuts a new product designed to let marketers and ad agencies use more data when buying their online and offline media. With more and more advertisers adding social media commentary into the ad process, Tuesday’s top talk will be RadiumOne’s panel discussion on the ways that marketers can find the most valuable elements in their social media data and apply them to solve problems. More must-sees and meet-and-greets this week include promotional pushes for the Kardashian brand, performances to pitch major media companies, and the appearance of popular ad characters. Overall, it’s a week to see what’s going on and coming up in the minds of Madison Avenue. Keep up with the latest news in advertising and marketing. Contact MDG Advertising today at 561-338-7797 or visit mdgadvertising.com.